I've been looking through the thread, and I can find no definitive answer for my question. If I overlooked the answer I apologize, but will the knot used be the 2-band Select Badger that has a springier backbone and resilient tips? I have a BSSW with softer hair, and I would be interested in the 2-band Select that is springier and more resilient in the tips for a next BSSW brush. If this does, it's pretty much a lock for me! Larger Rooney 1/1 shape with it's own distinct features and an Alibaba collar? Edit: Like I thought, the answer was indeed there, and I just overlooked it. (05-21-2018, 10:14 PM)kooshman7 Wrote: I've been looking through the thread, and I can find no definitive answer for my question. If I overlooked the answer I apologize, but will the knot used be the 2-band Select Badger that has a springier backbone and resilient tips? I have a BSSW with softer hair, and I would be interested in the 2-band Select that is springier and more resilient in the tips for a next BSSW brush. If this does, it's pretty much a lock for me! Larger Rooney 1/1 shape with it's own distinct features and an Alibaba collar? I'll tell ESBrushmaker to mark you down then. (05-22-2018, 06:09 AM)Mr_Smartepants Wrote: That bulb! I'm in! I might change my mind, but right now I'll probably sit it out. 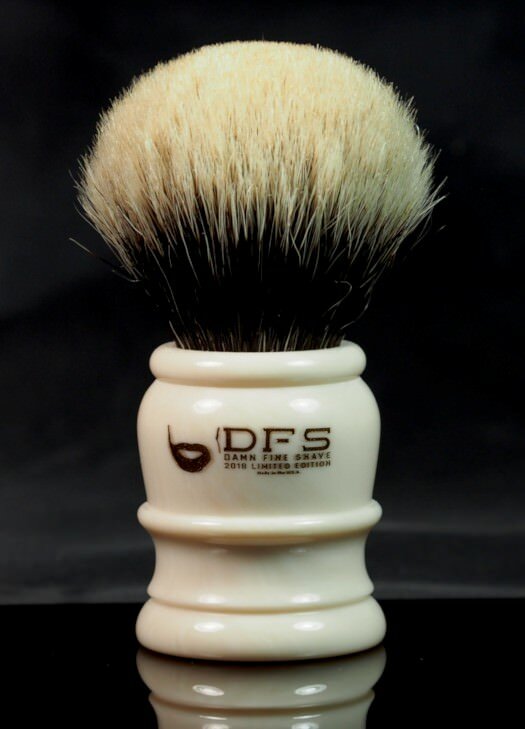 I'd really want one of the stiffer 2-bands instead and the original thread said it was the softer knot type. Nothing against the softer one mind you. I just have one right now, and I've been toying with getting one of the stiffer ones! Has the brush been offered yet? On Brads website it states Sold Out! (05-24-2018, 09:00 PM)bijou Wrote: Has the brush been offered yet? On Brads website it states Sold Out! no. 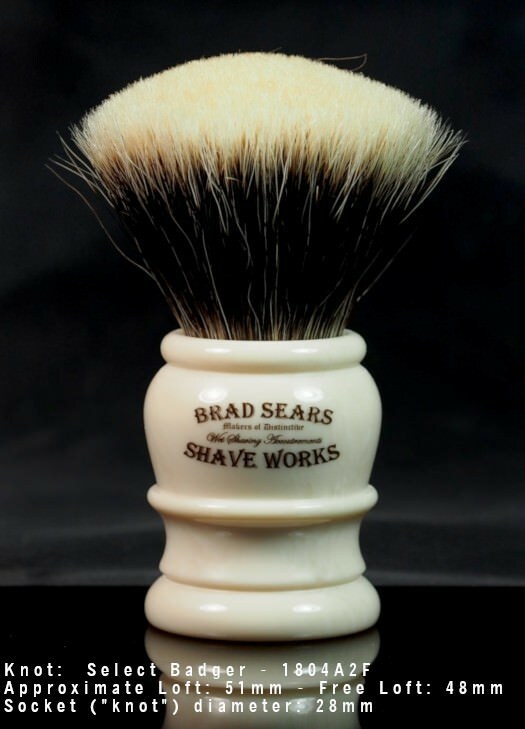 Brad had to mark the brushes as 'sold out' so he could build the pages we'll use when it goes live. we'll provide updated links when it's ready. I'm enjoying getting to see behind the scenes like this and watch the process. 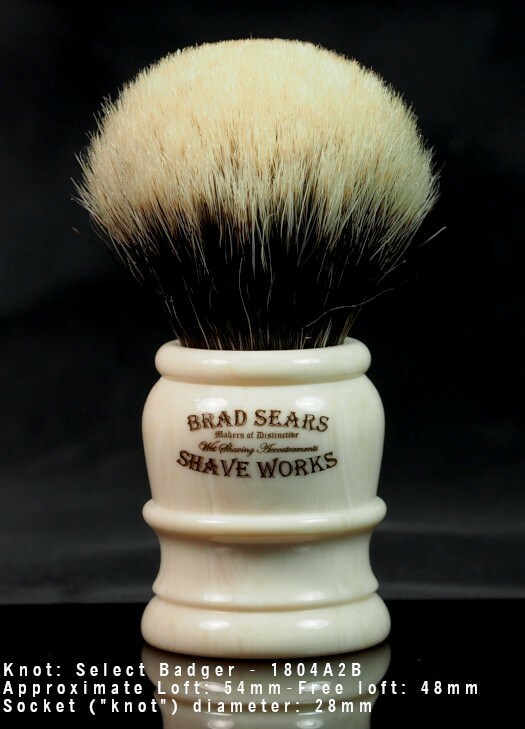 I have several brushes made by Brad, a really nice guy to work with, and the brushes are all outstanding. 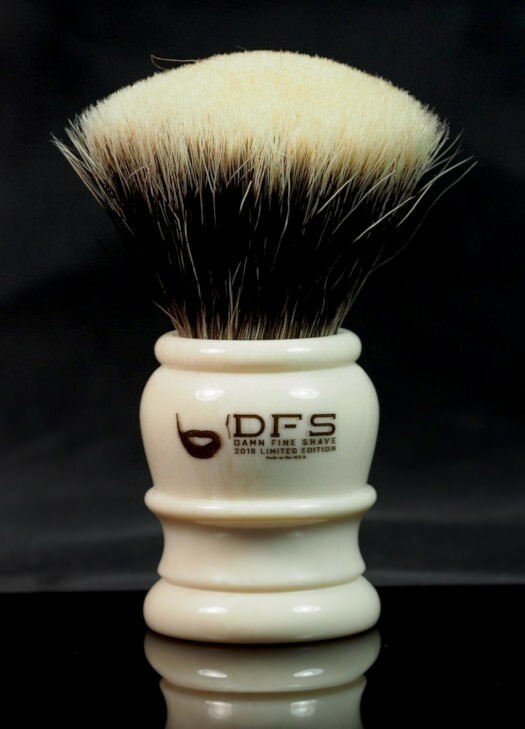 I'm tempted to pick up one of these when available, as the new faux Ivory material is appealing. Andrew, that fan looks amazing. Take my money now, I'm in!